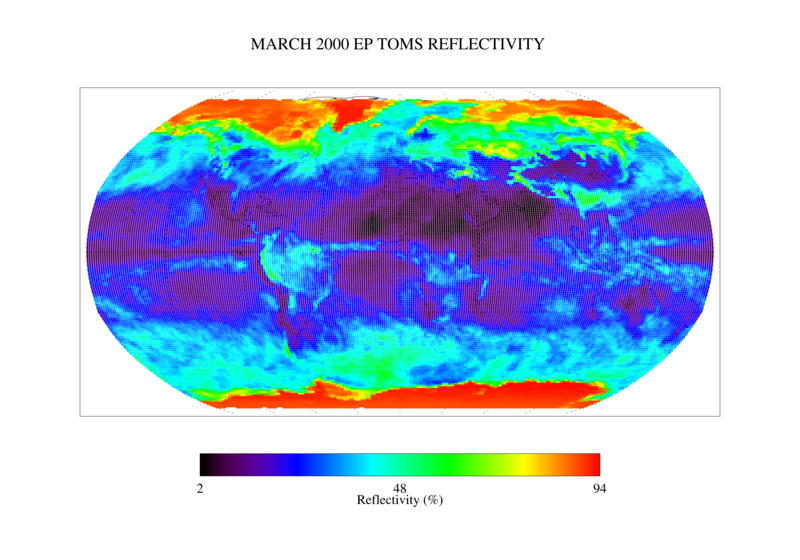 This Earth Probe (EP) Total Ozone Mapping Spectrometer (TOMS) version 8 monthly averaged global gridded data product contains Lambertian effective surface reflectivity values (Rayleigh corrected). The data are mapped to a global grid of size 180 x 288 with a lat-long resolution of 1.00 x 1.25 degrees. These data are stored in an ASCII format. The TOMS data were produced by the Laboratory for Atmospheres at NASA Goddard Space Flight Center (Code 614).